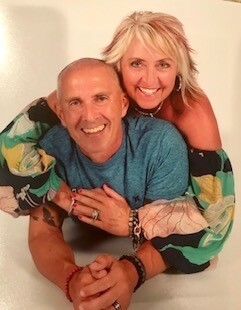 Melanie suddenly and unexpectedly died from a heart attack while on a Caribbean cruise vacation with her husband of 38 years, Craig. Melanie and Craig were the very best friends and absolutely adored each other. They cherished every moment of being together, whether it was a quiet evening at home reading or watching Netflix, enjoying area restaurants, traveling to Hilton Head Island with their children, or Melanie’s most favorite activity during the past 5 years - cruising the Caribbean on Royal Caribbean Cruise Line. As they sat on loungers in The Solarium reading and chatting about plans for the day, Melanie would often laugh and say if she were to die in the middle of the ocean on a ship, in The Solarium reading a book in the sun with Craig beside her, it would be a perfect day and cruise, as long as it happened to her, not Craig. She forbid him to die before her and he always promised he wouldn’t. Her wonderful and awesome Savior, whom she and Craig loved and trusted with all their heart and soul, compassionately took her home in the perfect way she laughed about, just way too soon for her family. Melanie was a voracious reader, an avid country music fan and loved to sing along, especially in the car, whether she knew the words or not. On a family HHI trip with the Jenkins family, she was asked by a customer at a convenience store, where we had stopped for gas “Hey, you know why they sing that song?” to which she said “No, why?” He answered, “So you don’t have to” and that became a Melanie joke every time she started singing. Their latest favorite song was “Beautiful, Crazy” by Luke Combs. She also enjoyed listening to "The Two Guys Named Chris" show (FM 92.3) on her way to fitness classes at The Clemmons YMCA, where she spent time with her mother and friends. She never met a stranger and people loved being her friend. Melanie lit up the room with her laughter and enthusiasm and always wanted to make people to feel special. Friends would often tell her that Craig was really nice but seemed to be a quiet person to which she would laugh that laugh of hers and say “ ha-ha, he’s not quiet he’s just learned he’s not gonna get a word in edgewise when I’m in the room so he quit fighting that fight years ago”. Melanie and Craig were blessed with two sons, Craig Madison Goodson, II and Logan Durie Goodson, both of Denver, NC. Melanie loved her sons deeply and unconditionally and was extremely proud of the men they have become. She was always worried they did not understand how much she loved them, but they did and will live their lives as a testament to that love. She loved the kid’s fiancés, Leigh Wisham and Jenn Manfeld and was overjoyed about the upcoming birth of her second grandchild, to Logan and Leigh this coming October. Also surviving is her mother, Levonda Durie Leamon of Kernersville NC, her two "furry babies", Cam and CaliKitty, and a granddaughter, Skylar Olivia Goodson of Denver, NC. Some of Melanie’s fondest times were reading children's books with Skylar in her lap, painting fingernails and toenails together, going to the pool, shopping and stopping for ice cream at Birkdale. Both of them laughed and giggled and held hands all the time and it melted the hearts of passersby just seeing them together. She was preceded in death by her loving maternal grandparents,Lawrence and Margie Durie as well as her father, Larry Leamon. Melanie graduated from RJ Reynolds Senior High School in 1977 and obtained a degree in Psychology from UNC Charlotte in 1981. She worked at Integon Corporation until the birth of her children, when she decided to become a full-time mom and pour her heart into raising and enjoying her kids. Every Tuesday her Grandmother Margie would come and spend the day - the kids called her "Grandma who comes on Tuesday”. Melanie and Craig attended New Story Church as well as Harvest Bible Chapel, both in Winston-Salem. She was a founding member of the Rubbermaids Bridge Club for over 25 year where she became known as “The Princess” by her fellow Rubbermaids, and she owned that title! Years later, everyone was calling her The Princess because of how Craig spoiled her. It always amused people when she told them they named the club so they could add the club to their obituaries - she is the first one to do it. Saturday April 20, 2019 from 1:00pm to 5:00pm at Melanie and Craig’s home. In lieu of flowers, memorials may be made to New Story Church, 1401 Trademart Blvd, Winston-Salem NC 27127 for their new Free Health and Wellness Clinic.